Ancient civilisations and long un-deciphered mysterious scripts have always been hauntingly engaging challenges to the human consciousness. Fired by John Chadwick’s classic in archaeology, ‘The Decipherment of Linear-B’, that chronicles how the secrets of the late Minoan and Mycenaean civilisation in ancient Greece were unveiled, renowned Indologist Prof Asko Parpola set out on an equally challenging task over 45 years back to crack the script of the Indus Valley Civilisation. 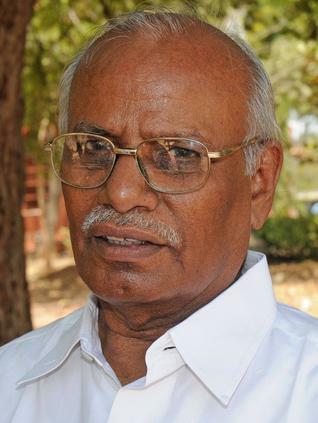 For someone who has done a lifetime of monumental research on ‘Deciphering the Indus Script’ even using modern computerised tools, Parpola, whose path-breaking study on ‘A Dravidian Solution to the Indus Script Problem’ had bagged the ‘Kalaignar M Karunanidhi Classical Tamil Research Award’ at the ‘World Classical Tamil Conference (WCTC)’ in Coimbatore, is remarkably self-effacing and realistic. A diligent scholar from Finland in both ‘Vedic’ and ‘Dravidian’ studies,spoke to M R Venkatesh of ‘Deccan Herald’. What prompted you to undertake this amazing intellectual journey? attempts. My brother Simo who studied ‘Assyriology’ also joined the team. How did you use computer technology in this study of Indus Script as India’s renowned epigraphist, Iravadham Mahadevan says you are the first person to have done it? Asko Parpola: Well, it is not me. Seppo Koskenniemi and his brother Kimmo Koskenniemi, who is now Professor of Computer Linguistics at the University of Helsinki, assisted me. They have been there from the beginning. On your seminal work on the Indus Script, what effected your change of approach to include sociology, anthropology and linguistics, instead of just an epigraphist approach that failed to make headway earlier? Well, actually, I have not changed my approach. It has been there all the time. I think every aspect has to be taken into consideration. We have to take advantage of every possible source (of knowledge) at our disposal. Your solution to the Indus Script riddle – that the underlying s a syncretism rather than a collusive view of Indo-Aryan and the Dravidian family of languages. Your comments please? Yes, I think these two language families have been in contact with each other ever since the Indo-Aryan speakers entered South Asia. It is impossible to leave Indo-Aryan sources out of account. They have preserved very important information of Harappan heritage. One of 20th century’s greatest philosophers Wittgenstein had said understanding a language is understanding a whole form of life. Has your findings on Indus Script vindicated that insight on how language works? creation which is very valuable. But these linguistic identities, when politicised, could lead to all kinds of disastrous consequences. So how is a harmonious understanding of world languages possible? already in ‘Sangam’ times. So, they have also contributed hugely to the Tamil civilisation. So you have at least these two main language groups in India from very early times, side by side. Your next project: will you continue your work on the Indus script? I think it will be difficult not to continue, but actually my PhD was originally on ‘Sama Veda’ and I have been doing ‘Sama Vedic’ research in South India for many decades. There is a lot of material which I have not really had a good opportunity to work on, but which I would like to publish. Also, the ‘Thirukkural’ (of Tamil Saint-poet Thiruvalluvar) is a timeless book. I am working on a translation of it into Finnish and I would like the Finns also to have it. How do you see the WCTC’s significance? Has it provided a platform to take forward your work on the Indus script? Yes, I think so. For the Indus script it (WCTC) is certainly very important, a big boost to draw the attention of more Tamil and other Dravidian scholars into this venture. Scholars should get funds to pursue the studies further. A Dravidian solution to the Indus script problem! come from the Gulf and Mesopotamia, left there by sea-faring Indus merchants. script has remained the most intriguing problem pertaining to this impressive city culture that initiates Indian civilization. in Vedic Sanskrit begin the historical period in South Asia around 1000 BCE. read on the basis of later texts. that the Indus script is real writing. for guidance. Most ancient scripts have been deciphered with the help of translations into known scripts and languages. grammatical analysis, as does the absence of word dividers. Indus Seals and Inscriptions; its third volume has just come out. markers. One way to segment longer texts is to see if their component parts occur elsewhere as complete texts. in very similar contexts. Based on these criteria, my sign list has very nearly 400 graphemes. manner. But such analyses alone are unlikely to provide that breakthrough. language or languages and the type of the script. collapse of the Indus Civilization. seals found in the Near East. Some of them have native Harappan and some non-Harappan sign sequences. less likely to have been spoken in the Indus Valley than languages known to have existed in South Asia. where the principal Indo-European languages were later spoken. Aryan to the Volga-Ural steppes. feasible for the simple reason that the exact meaning of so many of them is unclear. candidates for a genetic relationship with the Harappan language. the Dravidian language family. The 26 Dravidian languages are now mainly spoken in Central and South India. kiyaambu- ‘watery plant’ < PD *kiyampu ‘taro, aroid, Colocasia’. groups. One of them is distributed over the Indus Valley and the Dravidian-speaking areas. that the Harappans probably spoke a Dravidian language. With this conclusion we turn to the problem of script type. diffusion from the Proto-Elamites of the Iranian Plateau, but they did not copy the signs of the Proto-Elamite script. writing their own language with just those phonograms of the Egyptian script that comprised a single consonant. scripts with less than 40.
script is a logo-syllabic writing system. Most signs of early logo-syllabic scripts were originally pictures denoting the objects or ideas they represented. need not know what the Harappan word for the depicted object was. pictorial meaning is certified by the Indus iconography, in which it is placed in the mouth of a fish-eating crocodile. Western Asia and historical South Asia being most relevant. as do the contemporaneous Mesopotamian seal inscriptions. group of signs in the Indus seals. SEAL inscriptions, the ‘fish’ signs denote something else than ‘fish’ and are used as rebuses. ‘star’. Both words may be derivatives of the root min ‘to glitter’. Asian tradition, and the Mesopotamian contacts? word, have imagined the stars to be fish swimming in the ocean of night sky. The rebus meaning ‘star’ suits the expected meaning ‘god’ as a component of proper names in seal inscriptions. main gods were symbolized by particular stars or planets. distinguished divinities even in pictorial representations. of name-giving is of non-Aryan origin. checking in the manner of cross-word puzzles. the essence of all decipherments. inscription on one big seal from Harappa (H-9). century BCE and suggests its Harappan origin. Indo-Iranian tradition but adopted it in India. Pleiades apparently represents the young vernal sun, whose conjunction with the Pleiades started the New Year. star Alcor with her husband, the star Mizar of Ursa Major (see fig. 13). ‘benign’, and equated with the Fire god Agni as is OEiva in the Pleiades myth. seems to be ‘fig tree’. Can we here too have a Dravidian astral term? three or four such lines replace the leaves altogether. in the parts where the Indo-Aryan speakers came from. A post-Vedic Sanskrit name for the banyan fig is vaTa. 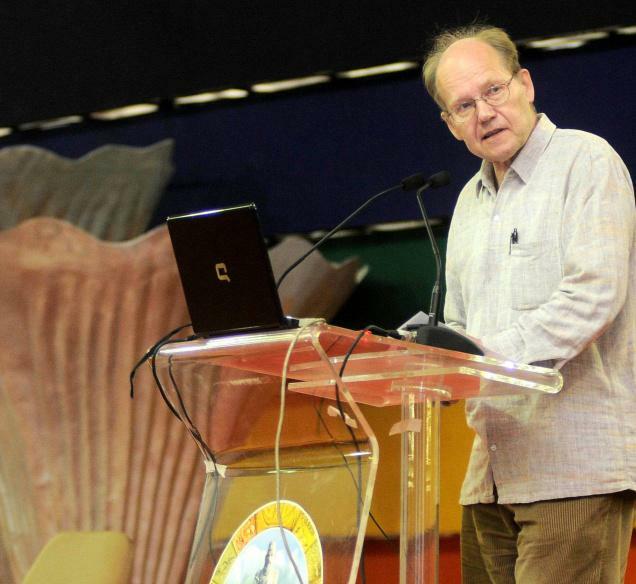 The underlying language of the Indus script was Proto-Dravidian, Asko Parpola, Professor-Emeritus of Indology, Institute of World Cultures, University of Helsinki, Finland, said on Friday. Declaring that “an opening to the secrets of the Indus script has been achieved,” Prof. Parpola said the results of his readings kept within narrow limits: fertility cult connected with fig trees, a central Hindu myth associated with astronomy and time-reckoning and chief deities of Hindu and Old Tamil religion. Delivering the Kalaignar M. Karunanidhi Classical Tamil Research Endowment Lecture on “A Dravidian solution to the Indus script problem” at the World Classical Tamil Conference here, the Indologist said the readings were based on reasonable identifications of the signs’ pictorial shapes. The results made good sense in the framework of ancient Indian cultural history. “These readings have been achieved with strictly adhered methodology which is in full agreement with the history of writing, methods of decipherment and historical linguistics including the comparative study of Dravidian languages,” he told the audience that included Chief Minister M. Karunanidhi. Displaying nearly two dozen illustrations of Indus seals and inscriptions, he dwelt upon the topic by explaining two broad aspects — underlying language and type of the script — that were essential in the decipherment of an ancient script. He also substantiated his thesis with an etymological analysis of certain Tamil words such as ‘muruku’ and ‘miin’. Hinting that Harappan language had a genetic relationship with the Dravidian language family, Prof. Parpola said 26 Dravidian languages were now mainly spoken in central and southern parts of India. However, one Dravidian language, Brahui, had been spoken in Baluchistan of Pakistan for at least one thousand years. In contrast to Burushashki, Tibeto-Burman and Austro-Asiatic languages, very small minority languages in south Asia, the Dravidian speakers until recently constituted one-fourth of the population in India. Referring to the type of writing system, Prof. Parpola said the number of known Indus signs was around 400 “which agrees well with the logo-syllabic type but is too high for the script to be syllabic or alphabetic”. Though word divisions were not marked, many inscriptions comprised one, two or three signs and longer texts could be segmented into comparable units. The Indus script was created before any syllabic or alphabetic script existed. The problem of the Indus script resembled to some extent that of the logo-syllabic Maya script, where advance was phenomenal after Mayan speakers were trained in the methods of decipherment. The Indologist said those who had good acquaintance with the realities of Indian culture and south Asian nature could make useful contributions in suggesting possible pictorial meanings for the Indus signs. For this, there was no need to be a Dravidian speaker. 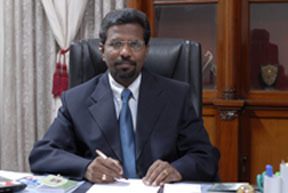 Iravatham Mahadevan, eminent archaeologist, presided over the event. Your Excellency the President of India, Srimati Pratibha Devisingh Patil, Honourable Chief Minister of Tamil Nadu, Thiru Kalaignar M. Karunanidhi, distinguished dignitaries, dear colleagues, ladies and gentlemen, Vanakkam! It is indeed a very great honour to receive the first Kalaignar M. Karunanidhi Classical Tamil Award from the President of India. Yet I feel embarrassed, because my work is only partly related to Classical Tamil, while there are Classical Tamil specialists who really would have deserved this award. But as this is not the only time when the award is given, I humbly accept that this is my turn. I am most grateful for the very considerable support for my continued work in this field. The Government of India has rightly recognized Tamil as a classical language, a status that it fully deserves in view of its antiquity and its rich literature that in quality and extent matches many other classical traditions of the world. Yet, Tamil is not alone in possessing such a rich heritage in India, which is really a very exceptional country with so many languages having old and remarkable literatures, both written and oral. Sanskrit with its three thousand years old tradition has produced an unrivalled number of literary works. Sanskrit goes back to Proto-Indo-Aryan attested in a few names and words related to the Mitanni kingdom of Syria between 1500 and 1300 BCE, and to earlier forms of Indo-Iranian known only from a few loanwords in Finno-Ugric languages as spoken in central Russia around 2000 BCE. But none of these very earliest few traces is older than the roots of Tamil. Tamil goes back to Proto-Dravidian, which in my opinion can be identified as the language of the thousands of short texts in the Indus script, written in 2600-1700 BCE. There are, of course, different opinions, but many critical scholars agree that even the Rigveda, collected in the Indus Valley about 1000 BCE, has at least half a dozen Dravidian loanwords. Old Tamil texts constitute the only source of ancient Dravidian linguistic and cultural heritage not yet much contaminated by the Indo-Aryan tradition. Without it, it would be much more difficult if not impossible to penetrate into the secrets of the Indus script and to unravel the beginnings of India’s great civilization. In my opinion the Tamils are entitled to some pride for having preserved so well the linguistic heritage of the Indus Civilization. At the same time, it must not be forgotten that, though their language has shifted in the course of millennia, people of North India too are to a large extent descended from the Harappan people, and have also preserved cultural heritage of the same civilization. He richly deserves the honour of being the first recipient of the Classical Tamil Award instituted by the Tamil Nadu Chief Minister. In the recent interview with Asko Parpola published in The Hindu (April 15, 2010), readers were made aware of the lasting contributions by Professor Parpola to Indological studies, especially in the field of the Indus Civilisation and its script. Having known him personally for four decades and having closely watched his great contribution to the study of the Indus script, I am in a position to amplify the information provided in the interview. Professor Parpola’s contributions to Harappan studies are truly monumental, and these are not confined merely to the study of the Indus script. He has published a long series of brilliant papers to establish the fact of Aryan immigration into South Asia after the decline of the Indus Civilisation. As a Vedic scholar-turned-Dravidianist, he has the best academic credentials to prove that the Indus Civilisation was pre-Aryan and that its writing encoded a Dravidian language. In addition to his linguistic skills and deep scholarship of Vedic Sanskrit and the Dravidian languages, he has harnessed the computer in one of the earliest scientific attempts to study the structure of the Indus texts through computational linguistic procedures. Professor Parpola has produced the first truly scientific concordance to the Indus inscriptions. His concordance is accurate and exhaustive and has become an indispensable tool for researchers in the field. Equally impressive, and again truly monumental, are the publications inspired and co-authored by Professor Parpola, of two volumes of the Corpus of Indus Seals and Inscriptions. These volumes reproduce in amazing clarity and detail all the Indus seals (and their newly-made impressions) and other inscriptions. I happen to know personally the enormous difficulties Professor Parpola faced in publishing these volumes, nudging and goading the slow-moving bureaucracy in India and Pakistan to make available the originals, most of which were photographed again by the expert whom Professor Parpola sent from Finland for the purpose. He published his magnum opus in 1994, Deciphering the Indus Script. The book contains the best exposition of the Dravidian hypothesis relating to the Indus Civilisation and its writing. Even though the Indus script remains undeciphered, as Professor Parpola readily admits, his theoretical groundwork on the Dravidian character of the Indus Civilisation and the script, and the fact of Aryan immigration into India after the decline of the Indus Civilisation, have been accepted by most scholars in the world. Most of the Early Dravidian speakers of North and Central India switched over to the dominant Indo-Aryan languages in Post-Harappan times. Speakers of Aryan languages have indistinguishably merged with speakers of Dravidian and Munda languages millennia ago, creating a composite Indian society containing elements inherited from every source. It is thus likely that the Indus art, religious motifs and craft editions survived and can be traced in Sanskrit literature from the days of the Rigveda, and also in Old Tamil traditions recorded in the Sangam poems. Professor Parpola is aware of the Harappan heritage of both Indo-Aryan and Dravidian languages, the former culturally and the latter linguistically. His profound scholarship in both families of languages enables him to mine the Indian cultural heritage holistically in his search for clues to solve the mysteries of the Indus script. It may be asked: What has Tamil to do with the Indus script that Professor Parpola should be honoured with the inaugural Classical Tamil Award? Tamil happens to be the oldest and the best-documented Dravidian language. It is mainly for this reason that the Dravidian Etymological Dictionary of Burrow and Emeneau accords the head position to Tamil entries in the dictionary. That this distinction is well-deserved is also proved by the fact that Old Tamil contains the most archaic features of Dravidian phonology and morphology, like for example, the retention of the character aytam and the sound zh. Dravidian linguists have also established that most proto-Dravidian reconstructions are in close accord with words in Old Tamil. The earliest Tamil inscriptions date from the Mauryan Era. The earliest Tamil literature, the Sangam works, are from the early centuries of the Common Era, but record oral traditions from a much earlier time. It is for this reason that Professor Parpola and other Dravidian researchers consider Old Tamil to be a possible route to get at the language of the Indus inscriptions. Professor Parpola’s work on the Indus script will prove to be as important and as long-lasting as U.Ve. Swaminathaiyar’s resurrection of the Tamil Classics from decaying palm leaves. He richly deserves the honour of being the first recipient of the Classical Tamil Award instituted by the Tamil Nadu Chief Minister. 1. The expression, “Vedic scholar-turned-Dravidianist” proves the change in ideology that is not good for any scholar of his stature. IM has already brought Michael Witzel, the Rig Vedic Pundit last year here in Chennai and he talked differently. Of course, IM prevented native Pundits to question nand test his Sanskrit capabilities. He was struggling to repeat few words mentioned by one of the audience. 3. Even though the Indus script remains undeciphered, as Professor Parpola readily admits, his theoretical groundwork on the Dravidian character of the Indus Civilisation and the script, and the fact of Aryan immigration into India after the decline of the Indus Civilisation, have been accepted by most scholars in the world. Acceptance or non-acceptance of any hypothesis, theory etc., cannot be a criteria for coming to any final conclusion in a research plan, particularly, where the script remains undeciphered. 4. “When the Chief Minister of Tamil Nadu’s award is given to me for a Dravidian solution of the Indus enigma, this award will inevitably be interpreted by many people as politically motivated”. Definitely, because, he has been known for his extremist views, racist bias and linguistic fanaficism and all couched with anti-Hindu, anti-Sanskrit, anti-Hindi, anti-north, anti-Brahmin and so on. Moreover, award for Dravidian solution of the Indus enigma, reminds the the world war period, where the racists scholars used to be honoured in the same way by the racisr regimes, because any other solution means no award! 5. 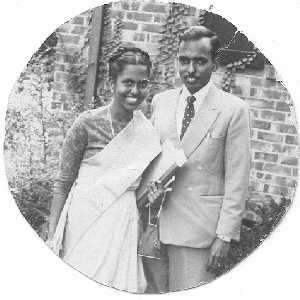 Nevertheless, I am ready to fight for the truth, and in my opinion, the Tamils are entitled to some pride for having preserved so well the linguistic heritage of the Indus Civilisation”. Why some pride, they have “full / more” pride, whether they preserve or not the linguistic heritage of the Indus civilization. In fact, the queation is whether the Indus cicilization had any preserved linguistic heritage f the Tamils conclusively, instead of taking few seals and giving convenient interpretation. 6. At the same time, it must not be forgotten that though their language has shifted in the course of millennia, people of North India too are to a large extent descended from the Harappan people, and have also preserved cultural heritage of the same civilisation.” Had both people descended from the same lineage, where is the question of linguistic heritage preserved by one group of people and cukltural heritage by other group? His theory that “Aryan immigration into India after the decline of the Indus Civilisation” shows after the decline of the Indus civilization, the Dravidians moved to north and then canme down to south. Aryans came thereafter and moved in the same way. 10. The earliest Tamil inscriptions date from the Mauryan Era. That Asoka should copy from the Persians and start indscribing on the stones so that Indians could read at different paerts of India in the same language or in their languages! And the intelligent Dravidian speaking people / immigrant Tamils from the IVC should wait for Asoka and start cpying his script to write in Tamil only from that particular period! 11. As the IV Dravidian speakers had been the expert makrers of the seals, why they should wait for 2000 years to copy script from Asoka? Does it make sound?